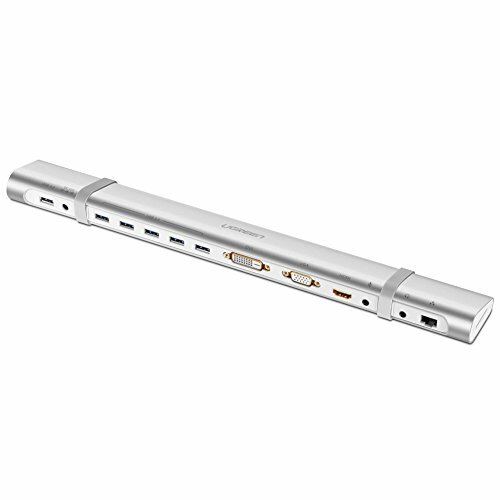 Ugreen USB 3.0 universal docking station provides an effective solution for enhancing Laptop/PC/Tablet connectivity, especially for users that need to connect and manage multiple devices at home or in the office. It easily connects a wide array of accessories to your computer via a single USB 3.0 interface. Moreover, it also enables you to add 2 external monitors to your PC to act as a multi-monitor station.